I was looking through Peter Kurth's Tsar last night and there was a picture that seems to be from the same vacation and it says Tatiana was with Olga and Nicholas. She did have her hair cut short at the time. o ok that helps alot thanks alot! I'm puzzled over this photo. GDss Olga,her husband Prince Petr and... The caption says a young woman is a Princess of Oldenburg, sister of Prince Petr. As we know Petr was the only child of his parents. May be she is his cousin? They are very informal and relaxed! maybe shes Countess Alexandra von Zarnekau, she a cousin of Peter's. 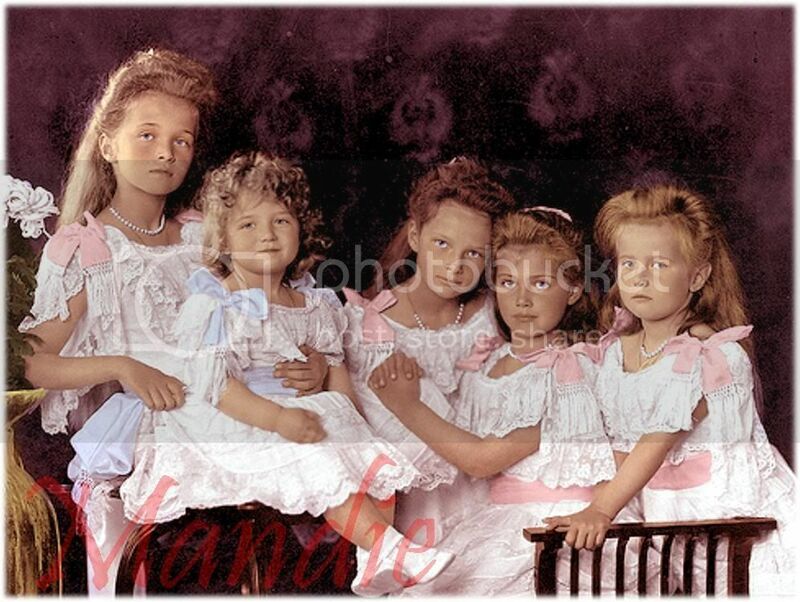 Or Countess Alexandra's sisters - Catherine or Nina. Calling GDElla!!! I KNOW that you must know the answer to this! Can you post Alexandra's picture? please? She is a relative of Petr , obviously. Their eyes are the same. Thanks for the vote of confidence Janet. I'll have to do some thinking on this one. 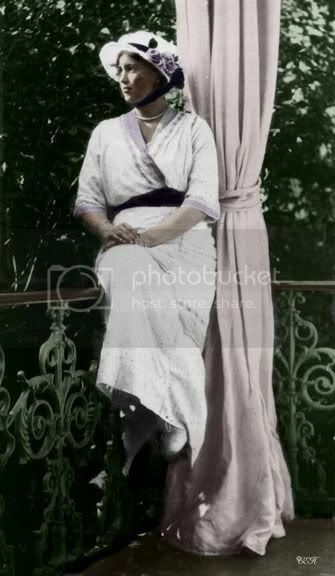 Peter was born in 1868 and was married to Olga from 1901-1916 (to help date the photo). His female Zarnekau cousins were born in 1883, 1884 and 1892 respectively. That seems to big an age difference for this photo. His uncle Nicholas had 1 daughter about the same age as Peter. They were Alexandra, Ctss von Osternburg who was born in 1864. Two other daughters died before 1890. Peter didn't seem to have too many female cousins around the same age--at least not on his father's side. On a side note, did Alexandra marry AII and Katia's son George? Could it be his cousin on his mother's side Daria Beauharnais? She was the daughter of his mother's brother, Eugene, Duke von Leuchtenberg, Prince Romanowsky. 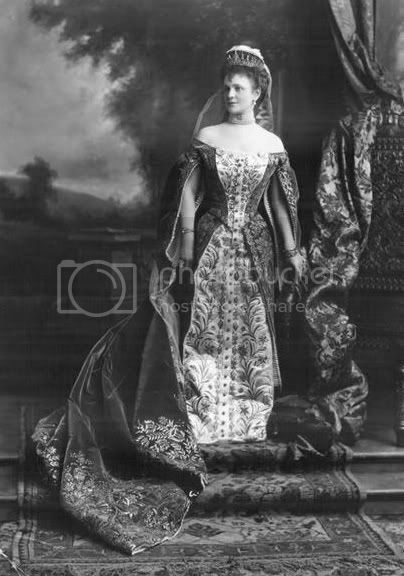 She was born in 1870 and married Prince Leon Kotchoubey in 1893. They divorced in 1911 and she returned to Russia. 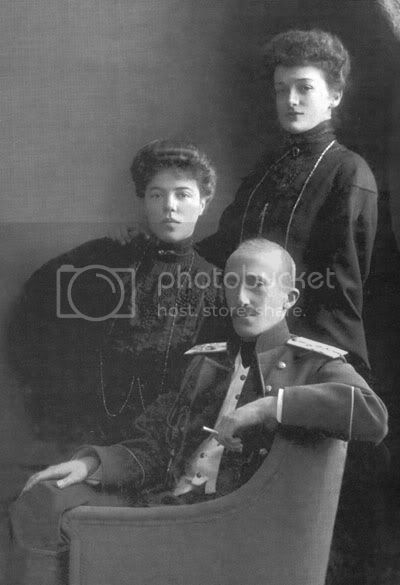 She remarried in 1911 Waldemar von Gravenitz who died in 1916. She herself was executed in Leningrad in 1937. One other suspect--he really didn't have a lot of female cousins on either side--is Sophie of Baden. She was the daughter of his aunt Princess Maria Romanowsky who married Wilhelm of Baden. Sophie was born in 1865 and married Duke Friedrich of Anhalt in 1889. From the one picture I've seen of her though, she doesn't really resemble the lady in the photo above. I'm still betting on Daria.